The Traveler Returns: What Happens After the Adventure Ends? Well, I don’t know about you, but I’m really looking forward to seeing The Hobbit. I like Martin Freeman as an actor–I think he’ll lend just the right touch to the role. The Hobbit was my favorite of all the Lord of the Rings books, and I loved the movie adaptation of the trilogy. But I feel a little like Bilbo now, once he finally returned to the Shire and Bag End. Mind you, my own abode is not the tidy, comfy little home depicted in the movie trailers. If I were Bilbo, I wouldn’t have wanted to leave either. But I did the reverse this past week, I left my not very pleasing home and journeyed to the land of The Hobbit–traversing much of England in gentle meandering way that did my bruised and weary soul much good. I only wish it could have lasted longer. I didn’t take in the sights, though everywhere I turned there was a breathtaking piece of history or scenery to see. I took in the people. The homes where books were stacked floor to ceiling in haphazard and sometimes dangerously tilting piles, and yet their owners could lay their hands on a favorite title at will. I discovered tea with milk is a most wondrous thing (and know not how I lived without it so long). I ate vegetables I’d never heard of, such as celeriac, and ones I thought I hated, such as parsnips, brussels sprouts and field greens. I ate myself silly, in fact, as gluten free options are not only plentiful but delicious as well. And I walked. 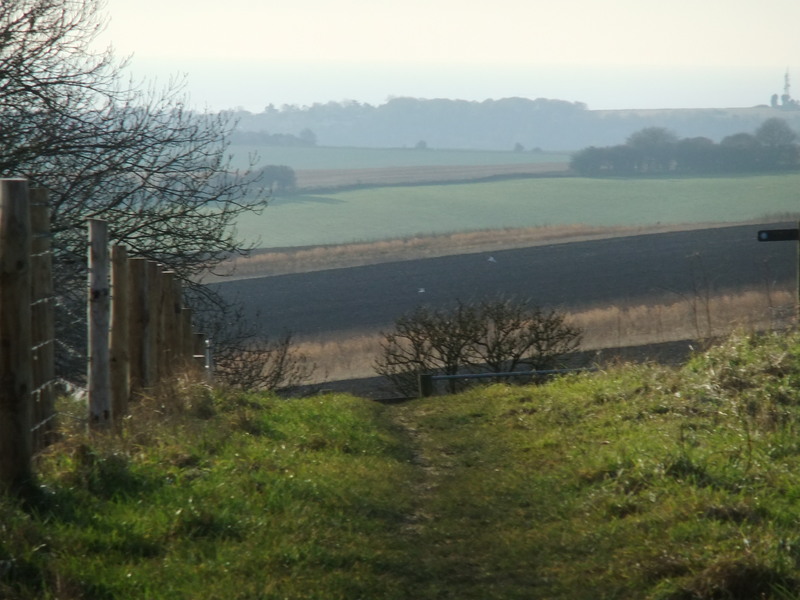 I walked down muddy lanes and along the South Downs. I walked on fields so green they didn’t seem they could possibly be real, with sunlight that poured in great golden beams from behind scudding clouds overhead. I walked in picturesque old towns that could have been pulled out of a Dickens story, saw uniformed school children that looked like they could have just come from Hogwarts, found a piece of a Roman temple and held it in my hand. 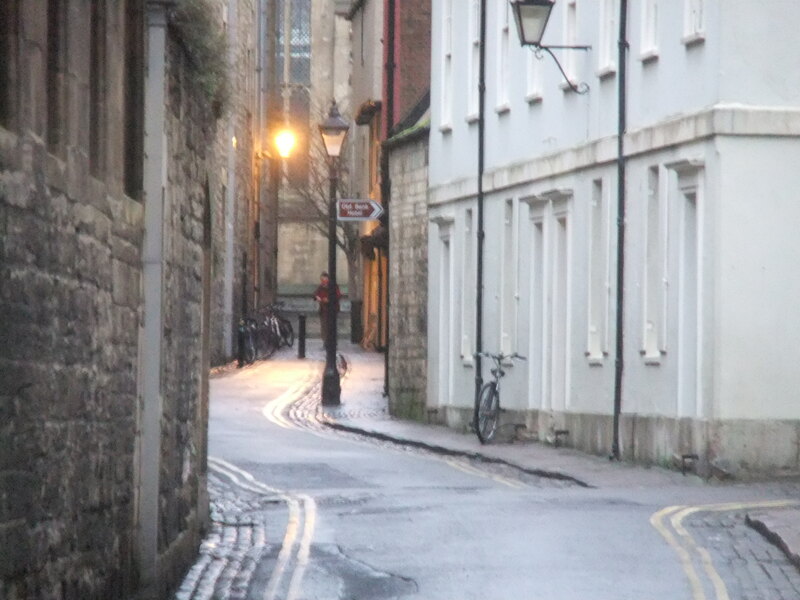 I walked along the streets of Oxford on a drizzling day and saw the actual locations of places mentioned in my favorite book, Gaudy Night by Dorothy Sayers. I drank pots of tea and toasted crumpets on the fire. I walked hand in hand in the rain with someone I love. I met dear friends and made new ones. And I learned so much! Not just in terms of fascinating local and cultural history (but I now know why racehorses were sold in guineas–because the commission to the sales agent was factored in–so if a horse sold for 20,000 guineas, then 20,000 pounds went to the owner and 2,000 shillings went to the agent.) but in life lessons too. I learned that things that make you turn up your nose on hearing about it (say, for example, tea with milk) are often fabulous in the reality. That when you never leave home, everything is an adventure.Just walking down the street of a town you’ve never seen in a country you’ve never been is magical. When you’re happy, you eat what you want and stop when you’re full, and you don’t have to worry about your weight. That much of what I worry about on a regular basis really doesn’t matter in the big picture, nor does worrying about it change the outcome. I need to play more and work less. I need to write until the story is done and not to arbitrary goals and deadlines set my myself as a means of ‘making it’ as a writer. I need to walk the dog and ride the horse while I can because there will be a time when I can’t do these things–and I will look back on this time with regret for not doing them more often. I need to breathe moist air, rich with the smell of soil and growing things, on a regular basis. I need to read more books and spend less time online. My stories will be all the better for these things, and to a writer, that’s what really counts in the end. But I do wonder how Bilbo felt when he returned home at last, never to go adventuring again. Glad to be safe and sound in his snug home once more? Or thinking regretfully of the beautiful vistas and magnificent cities he’s left behind? I know I’ve come back bursting with ideas of how I can incorporate my experience into the latest WIP–how England itself will become a character in the story as the next section unfolds. I can’t wait to start working on it. So while I am spending Christmas alone this year, I’m not really alone. I have a stack of presents to open tomorrow, thinking of all my dear friends as I do so. I will head out to the barn to dole out carrots and scrape the mud off my mare so I can ride her. I will watch the Muppet Christmas Carol tonight and work on my stories. And I will love every minute of it. Wishing the very best for you and yours this holiday season! 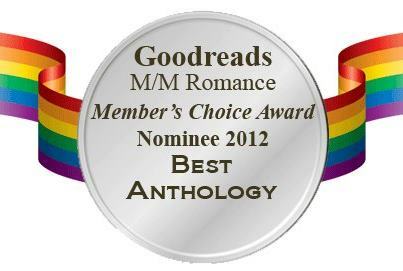 Going for Gold, the Olympic themed M/M anthology has been nominated for the 2012 Goodreads M/M Romance Readers Choice Awards! Voting is open until 12/31 and you don’t have to be a member of the group to vote–though it’s easy to join as well. Drop by and vote on your favorite books, authors, characters, pairings and more! This entry was posted in Uncategorized and tagged Dreamspinner Press, Going for Gold, holiday, life balance, Sarah Madison, writing by Sarah Madison. Bookmark the permalink. I love setting out on an adventure. I love seeing new things, meeting new people, but when it’s time to go home, I’m pleased to arrive at destination’s end. I love finding my familiar things around me once more. I love bathing in my bathroom and sleeping in my bed. The adventure is wonderful, but home is always the final destination. Love the photos. Thanks for posting them! I’ve never really traveled much, except for work. I stay in a different place nearly every other night and there’s no real place that feels like home. 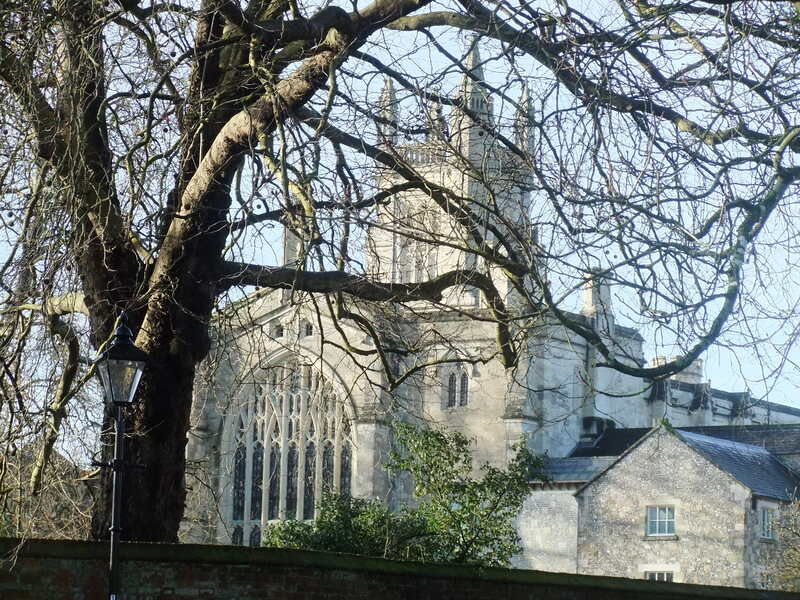 That’s what going to the UK was like for me–it felt like I’d come home at long last.